At the IBC we will be located at the FutureZone (Hall 8 Stand F42) where LinkedTV will have a living room setup to demonstrate the work done in the project in realistic settings. 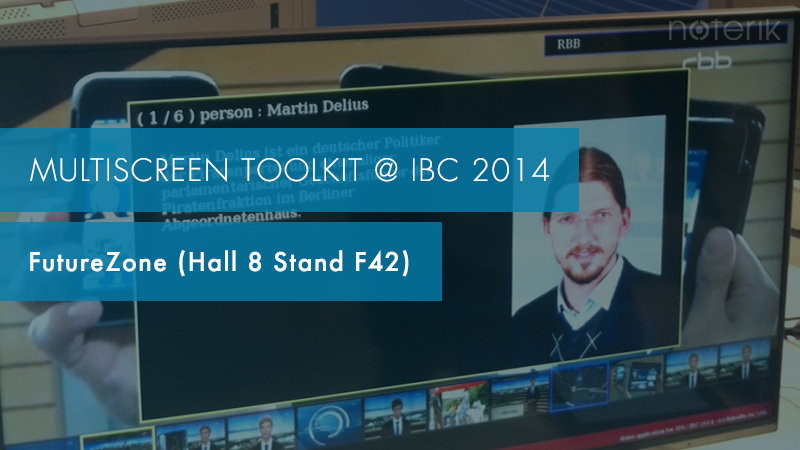 Noterik staff will be present at the stand to tell about our involvement in the project, and other ongoing developments related to the Multiscreen toolkit. In case you are coming to IBC, please visit us. We are happy to answer your questions related to multiscreen applications and anything else you might be interested in!